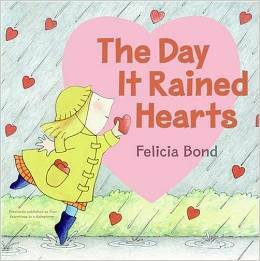 I’ve mentioned in years past how much I love the book The Day it Rained Hearts. Hands down it is my favorite Valentine’s Day children’s book. 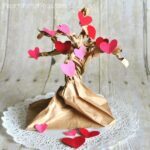 I think the reason I love it so much is because Cornelia Augusta recognizes the individual uniqueness in each of her friends when making them Valentine’s Day cards and honestly, it just brings all kinds of warm fuzzies to my heart. 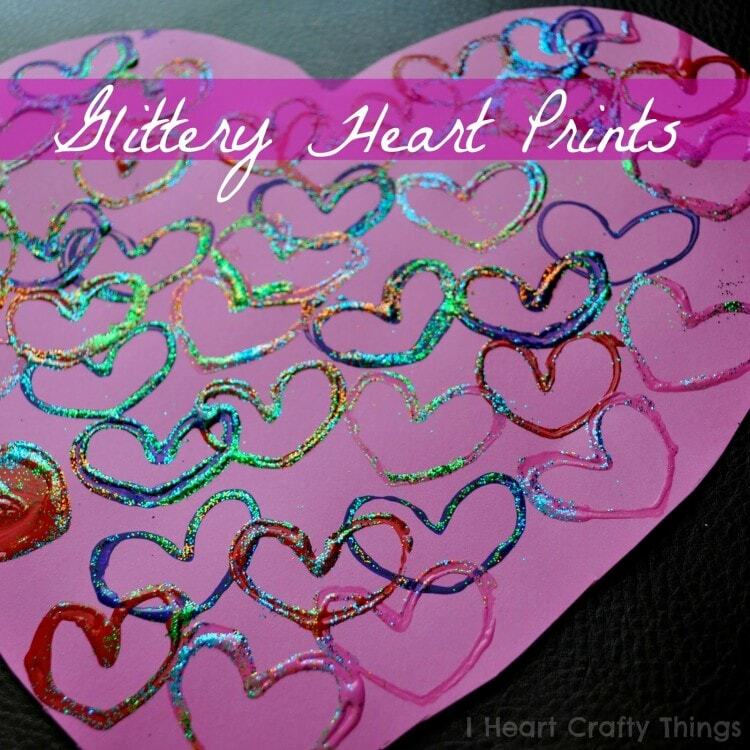 Every year we make a craft to go along with this book and this year we made Puffy Paint Clouds that are of course…raining hearts. 1. 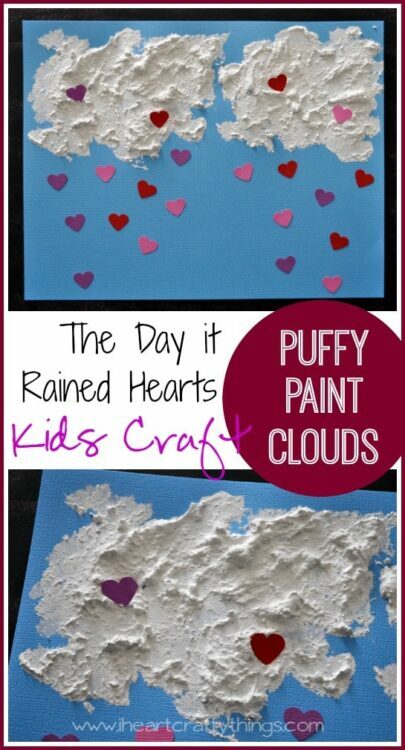 Start by making your puffy paint cloud paint mixture. 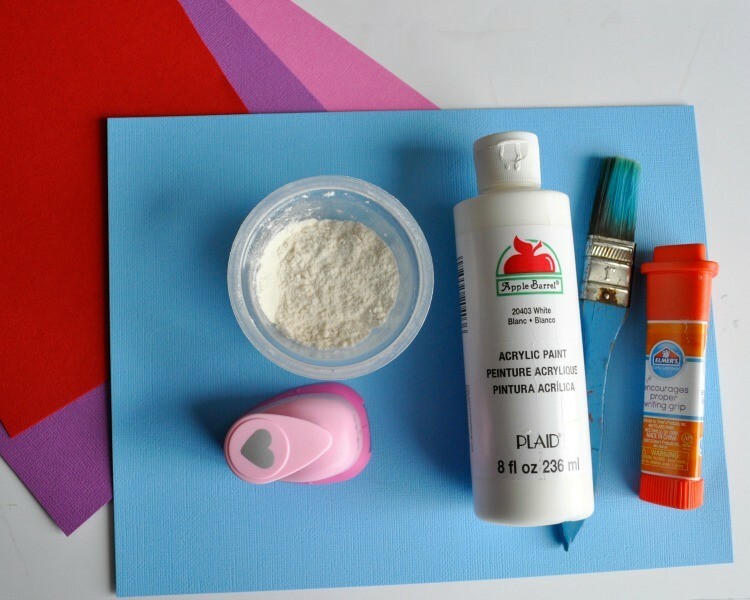 Mix equal parts of flour and white paint, and then continue adding white paint until you have a thick paste consistency. 2. 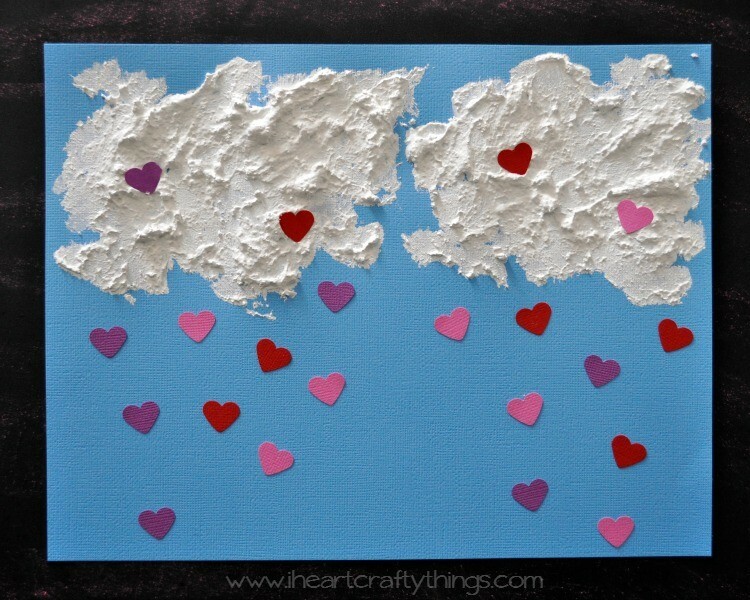 Use your paint brush to paint puffy clouds at the top of your blue cardstock paper. The paint is so thick that you almost end up dabbing it onto the paper to form the clouds. 3. 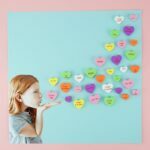 While you clouds start to dry, cut small hearts out of your red, pink and purple cardstock paper with your small heart punch. 4. 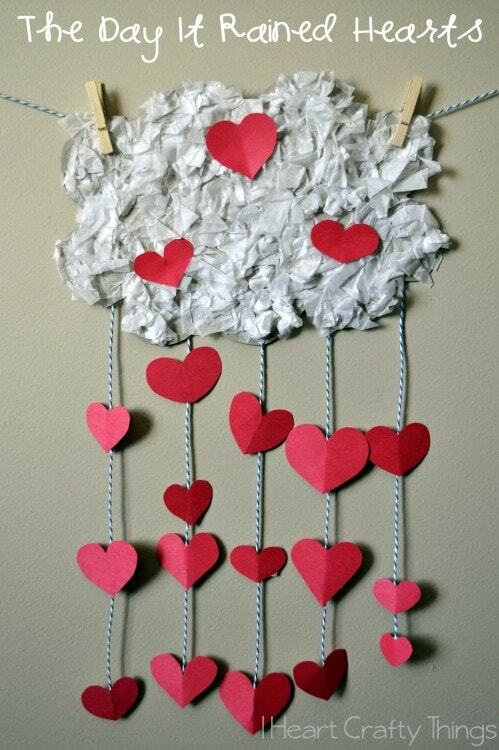 Glue your hearts underneath your puffy clouds. We added a couple on our clouds too. Since our paint was still wet we just pushed them onto the paint. 5. Since the paint is so thick, your artwork will take anywhere from 12-24 hours to dry completely. 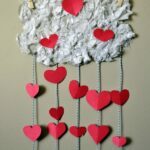 Check out our Raining Hearts Craft from last year!